It is a no-brainer to say that this phone is not for everyone. Its US$6,000 (S$8,300) price tag can easily pay for a vacation for two to Europe, a string of dinners at decent restaurants and enough flagship smartphones for your whole family. But those will not give the owner the sense of entitlement and luxury that owning this device will likely instil, which is exactly what the brand is aiming for. Crafted in calfskin leather, with metal trimmings around the chassis, the 88 Tauri is not going for a slim form factor or sleek look. In fact, the very act of having thick stainless steel plates that open up to reveal the dual SIM slots, microSD and USB 3.0 charging ports, marks the phone as being larger than necessary. The gold-coloured metallic trim of the review unit goes nicely with the light brown leather. 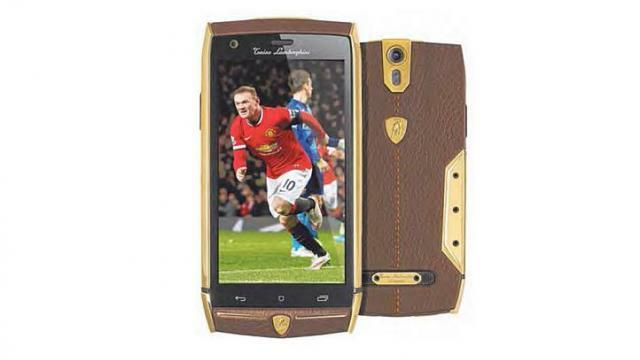 In case the bling is not noticeable enough, there are two Lamborghini bull logos on the phone. Confused? The bull is not a reference to the famous sports car brand. Tonino is the son of the famed sports car founder and he has licensed his family name to be used on non-automotive lifestyle products. Thankfully, the makers did not simply slap a luxurious shell over low-end components. The 2.3GHz quad-core processor puts it on a par with last year's flagship Android devices, and the use of a full high-definition screen and Android 4.4 operating system makes this a decent device. The dual SIM card slots tell you that the phone's target customers are globetrotting businessmen who crave prestige but also appreciate useful technology. The array of features also include a 20-megapixel rear camera supported by a dual LED flash, and an 8-megapixel front camera. Focusing can be a tad slow, but the final images are vibrant and sharp, as befits a device of this stature. All that is lacking is a concierge service, such as the one that competitor Vertu offers customers of its equally overpriced Android smartphones. That global assistance service caters to the whims and fancies of the super rich, and has become a signature provision that comes with each Vertu device.